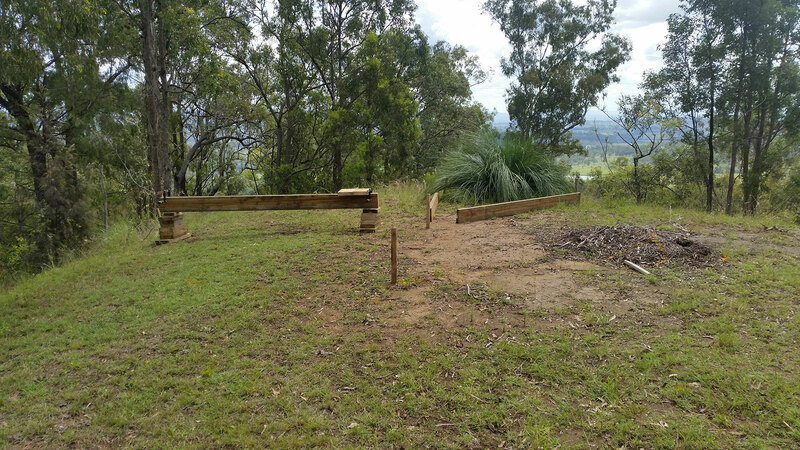 Since we first started thinking about putting in the Fire Deck I have been planning how to go about it. Recently I have been doing a lot of Maths and calculations to try and make the idea a reality. I have started fully planning the deck now and we have laid out some elements to try an get a picture of what we can and can’t do. 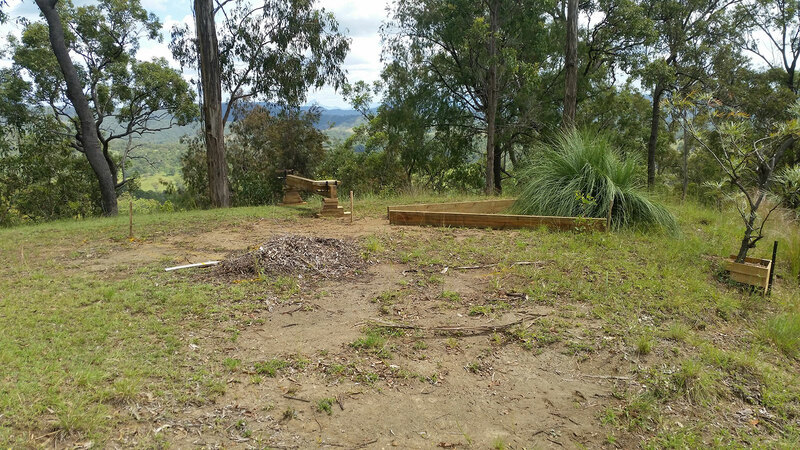 The deck will be in an area two levels below the house, on an open patch of flat land that is currently almost devoid of vegetation. This area also gets baked in the sun every day, and is missing 99% of it’s original topsoil due to erosion. There is not much we could do here from a planting or gardening point of view, so it is a perfect spot for our big entertaining deck. 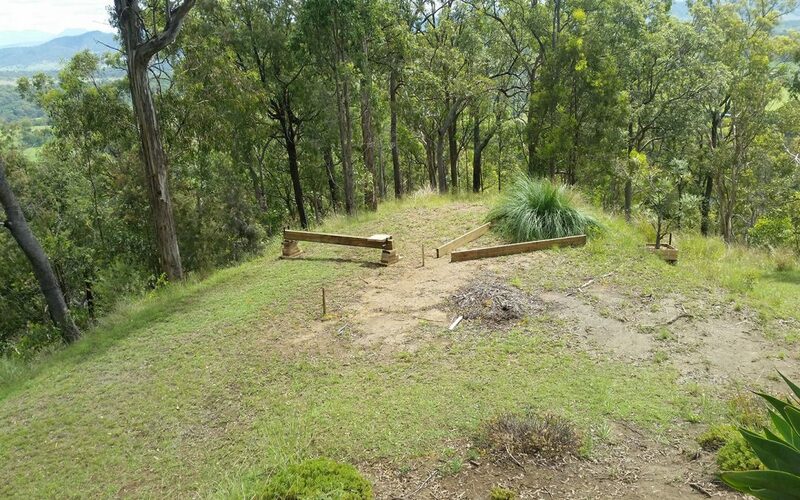 Also the Fire Deck level has spectacular views North over the Kerry valley and the northern end of our property, as well views back to the South West of Mount Lindesay and Mount Barney. The initial idea was for a large deck.. and we mean really large.. with a central contained fire pit. We stole this idea from our friends Hugh and Meeghan who had a similar but smaller setup across the road from us in Brisbane. The deck will be Octagonal in shape with a central fire pit and will sit in the middle of the Tank(Fire Deck) Level and take up most of the available space. At this point there is still a fair bit of calculating and planning to do, but we now have an idea of what we want and what it might look like in the end. We have some other projects to complete before we start on the Fire Deck, but hopefully it will not be too long before we start to see some real progress.